As a long-standing, popular model of pony/muscle car, the Ford Mustang hasn’t done too badly. Production started in 1964 and by August 2018, 10 million Mustangs had been sold in the US alone. In recent years the Mustangs has even done well in Europe, outselling many native brands in Germany, especially when its now available in right hand drive. 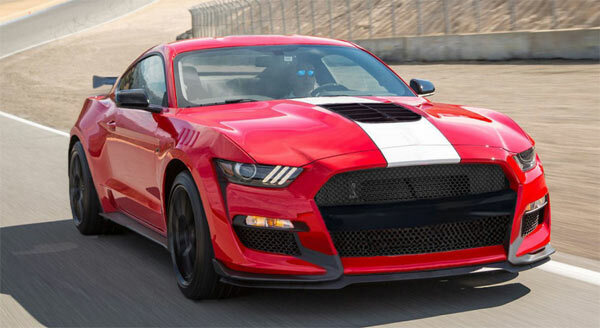 The 2020 Ford Mustang Shelby GT500 will be available very soon, promising 700HP+ and with limited versions such as the Bullitt edition, the model shows no sign of slowing down. Variations are the key to success and you don’t have to go for the 5.0-liter V8, especially when you can start with a turbocharged four-cylinder engine which also comes with a optional quad tipped exhaust system. Feature wise, the modern Mustang has modern creature comforts as you would expect. You can opt. for Apple CarPlay, a Bang & Olufsen 1,000 watts system and FordPass Connect WiFi. Nothing antiquated here. Even the new Shelby GT500 will have independent suspension. However, it’s always engine options which are the focus in these machines. The 5.0-liter V8 produce 460 horsepower and 420 lb-ft of torque with enough revs. to keep you entertained all day. At the other end of the spectrum, the four-cylinder 2.3-L turbocharged EcoBoost replaces the V6 and still has a healthy 310HP and 350 lb-ft of torque. This coupled to a six speed manual or 10 speed automatic transmission. Pricing for the 2019 Ford Mustang starts at $26,120, going past $50,000 for a GT. Considering all the goodies, power and excitement you get from the GT, it’s still very well priced. No matter if you want to call the Mustang a pony, muscle or performance car, the car is still proving its worth throughout the model range. Even if Ford stop making sedans altogether, the Mustang will still be available and that’s got to be for some reason.